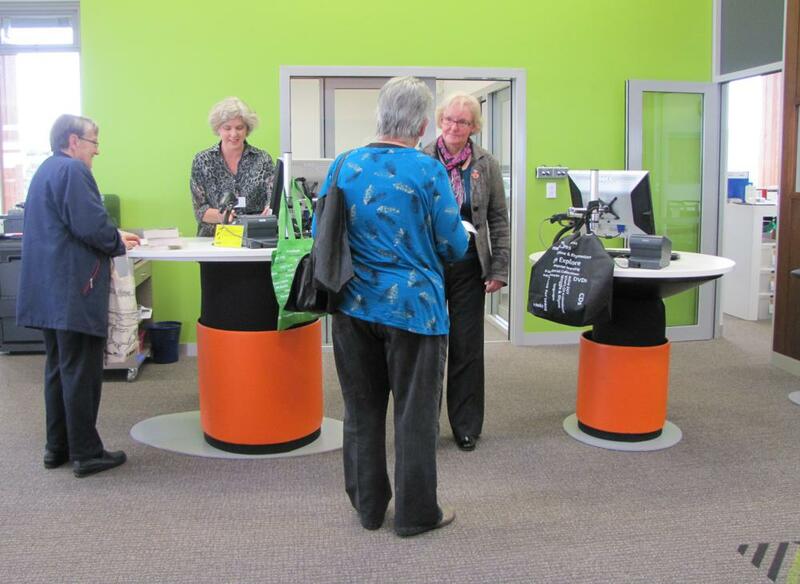 Wellsford War Memorial Library is a new, purpose-built community library, sited on the north-eastern edge of Wellsford’s War Memorial Park, north of Auckland. Over five times the size of the original library, the new library offers more space for recreational reading and learning, in a light, bright ‘open’ environment. 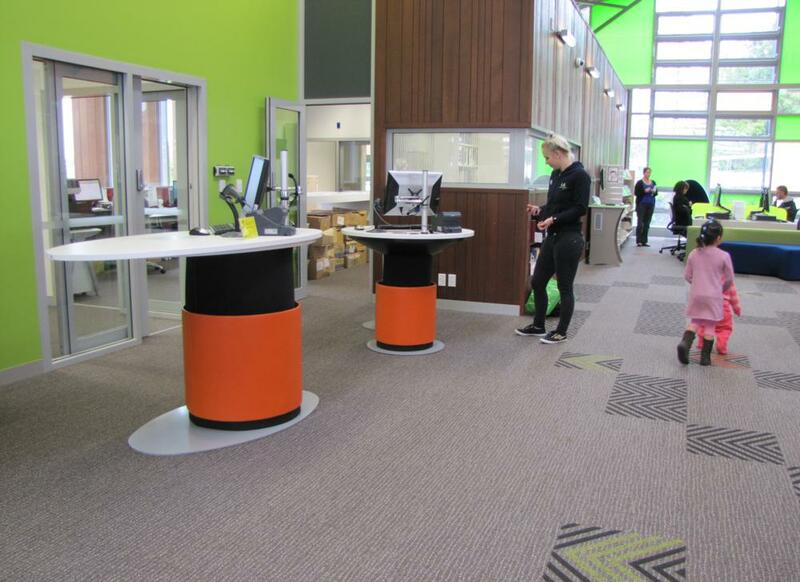 The Auckland Council project team wanted the library’s furniture to work in harmony with Jasmax Architects’ vision and approached Paul White, Instinct Furniture’s Director of Design, to assist. Paul worked with Vicki Clarke, Service Delivery Manager, Jocelyn Koks, Library Manager and Natasha Fraser, Facilities Coordinator Auckland Council. 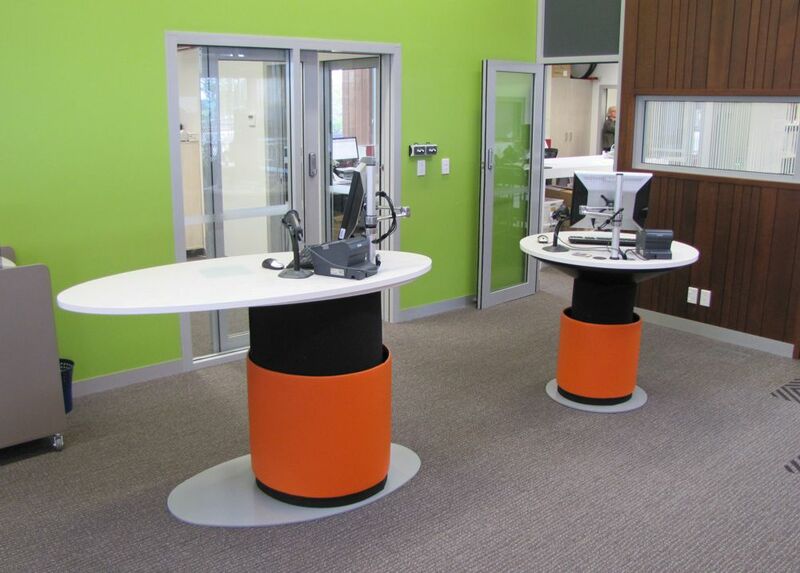 The team floated the idea of round counters to encourage a friendly, customer-orientated environment. Excited by this elegant, egalitarian idea, Paul responded with two additions to Instinct’s YAKETY YAK Help Station range. 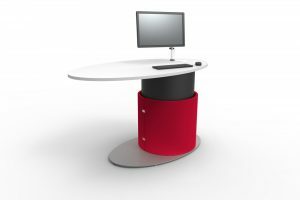 YAKETY YAK designs are all about unencumbered curvaceous lines, push button height adjustability and ease of interaction between staff and customer. 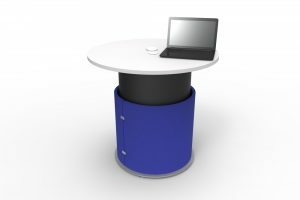 YAKETY YAK ROUND is ideally suited as a customer help point while the larger YAKETY YAK OVAL provides ample room for issuing books. 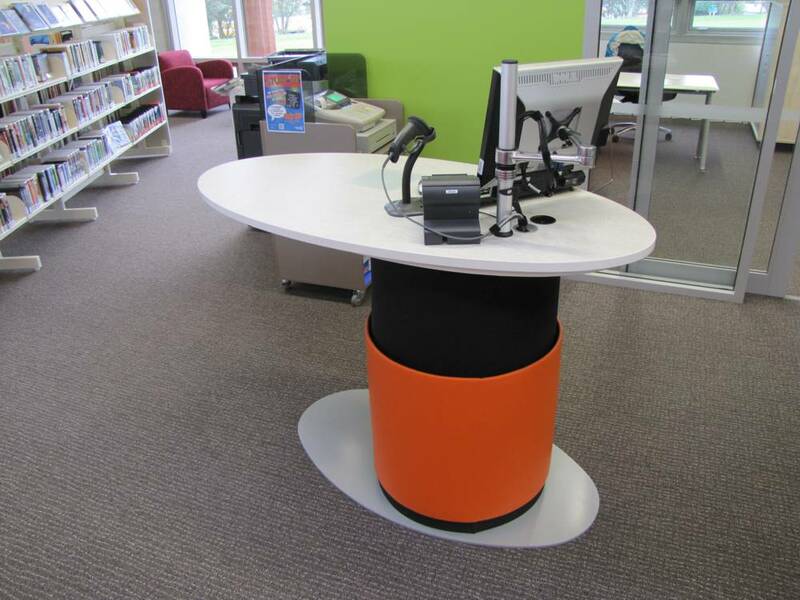 Staff can personalise their stations to sit or stand – adjusting for customers in wheelchairs as needed. Positioned in front of a green feature wall the counters feature bright orange barrels with vinyl worktops in sand/driftwood hues in support of the architects referencing to the Kaipara coast.